It came as a surprise when I realized that I know very little about trolls. I think I recall something about rubbing the belly of a troll doll and making a wish, but I may be confusing that with the Buddha statue at Kim's Chinese. I collected Battle Trolls when I was 9, but again, those were dolls and they were made to look like mini-terminators with vibrantly colored hair. Troll 2 certainly taught me nothing as there were no trolls in the movie whatsoever. Lastly, I know what an internet troll is, as I've dealt with just over a billion of them on the IMDb message boards. Leave it to André Øvredal's Trollhunter (Trolljegeren), a wild "found-footage" ride into the world and mythology of these larger-than-life creatures, to open my eyes to something I hadn't thought about since the 4th grade. Talk about getting trolled, am I right? 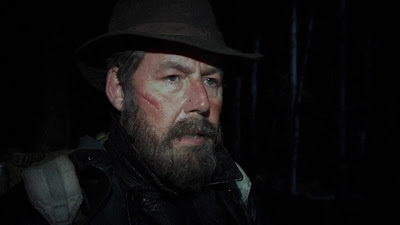 As previously mentioned, Trollhunter is a found-footage film in the vein of The Blair Witch Project about a group of college students doing a film on a rash of mysterious bear killings. The film crew follows a small group of licensed bear hunters (which are rare, apparently), who don't take kindly to a mysterious (and probably unlicensed) hunter who they believe to be killing the bears. Fixated on this mystery man, the film crew pursues an interview with him, only to be shot down. Determined to find out what he's up to, the crew follows him for a few days until they track him into a forest, where he finally lets them in on his secret: he's a troll hunter. He offers the team a chance to ride with him as he does his work (killing trolls that cross certain borders and become a danger to humans). Obviously cynical, but understandably curious, the group agrees, and soon learns that there's bigger things to fear than bears and that a secret group exists solely for the purpose of covering up troll related incidents and keeping them out of the public eye. I'm obviously not spoiling anything when I say that trolls exist in this movie, as I'm sure you've already seen the poster art. What surprised me about the film, was what I learned about trolls: large blasts of UV light can turn them into stone or cause them to explode, they're attracted to natural items like stone and coal, and that they can smell Christians which enrage them (??). There are also multiple types of trolls like Raglefant, the Tusseladd, the Jotne, the Mountain Kings, the Harding, and the Dovregubben. The Tusseladd for instance, grows extra heads as it ages. While it can only see from its center head, the others serve as an intimidation tactic as well as to attract female trolls for mating. We also learn the lifespan of a troll as well as the birth cycle of a female. It's these little details that add to the film's intimate world that it has created and gives life to each separate troll that we see. And boy, do they live. Whether the troll is stalking through a forest or wandering through snowy mountains, each one has a different personality that lives and breathes before you. The special effects are magnificent for a $3,000,000 film, and are even breathtaking at times. The trolls have a human quality about them that is almost sympathetic. They are just animals that want to eat and find shelter, and their demise only comes from stupidity that they can't control, which are qualities the FX team successfully displays. 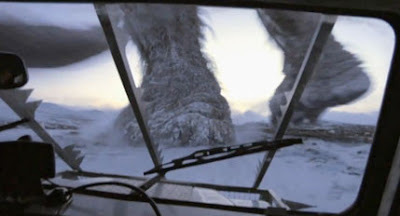 But when our troll hunter is driving a car between the stomping feet of a Jotne or being viciously tossed around by a Raglefant, its hard not to side with him on his inevitable duty to dispatch them. 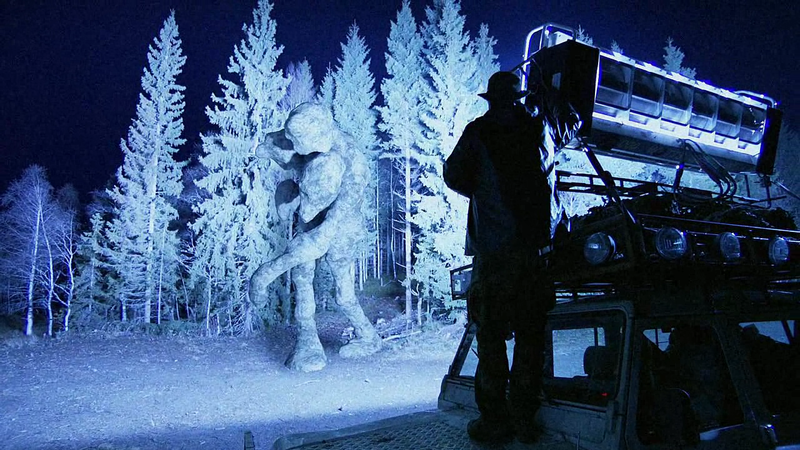 Trollhunter is a film that is a breath of fresh air in the "found-footage" genre as well as the "monster" genre. It's a new take on the creature film, and the beautiful Norwegian settings amplify the atmosphere and wonder of everything we witness. While I could've used a few more on-screen trolls and an ending that wasn't so wide-openly confusing (most likely for a sequel, but I still don't follow on some things), this film is a veritable titan for low budget cinema. Perhaps I should check out the IMDb boards for an answer, but I don't think I can handle any of those trolls at this point. They're worse than the Raglefant. This is a surprisingly good movie. I have found myself watching more and more foreign films over the past 5 years than I ever have before. 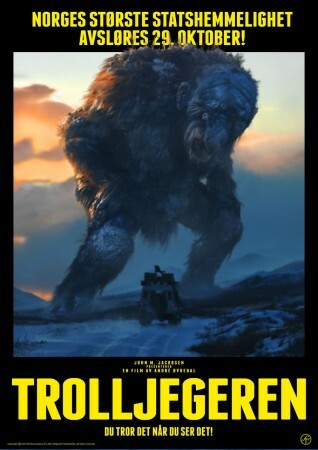 Films like Inside, Martyrs, Let The Right One In, [Rec] 1 & 2, Frontier(s) and this film, Trollhunter have me looking out across the globe for refreshing new horror. Now I've always loved the films of Lucio Fulci and Dario Argento (I can add Mario Bava into this as well), but I've watched mostly all of their films a number of times and finding new foreign films such as Trollhunter is always a great treat. And who knew that trolls hated the smell of Christians? Maybe their godless, I don't know. And when I always thought of trolls, I thought of pudgy little creatures living under bridges or in caves...but these fuckers are huge! Amazing film for the budget with great shots and beautiful scenery. Agreed. This film was gorgeous. Glad to hear you're getting into many foreign films! I loved both Inside and Martyrs. I need to stick up some reviews for those. I'll definitely have a lot of foreign reviews up soon, so I'll make sure to try and cover some you've never seen! I've watched a lot of old foreign films, and like I said, over the past 5 years I have been seeking out newer ones. I have seen quite a few. I only named some off the top of my head that really stuck out to me, especially Inside and Martyrs. I'll be looking forward to reading your reviews on those films as well as, hopefully, some I have yet to see or hear about.